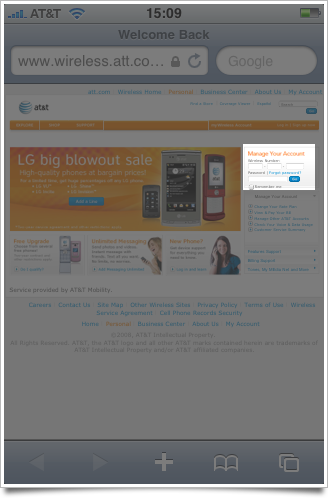 Why isn't AT&T's wireless site mobile-friendly? They should be the most accessible elements on the page. 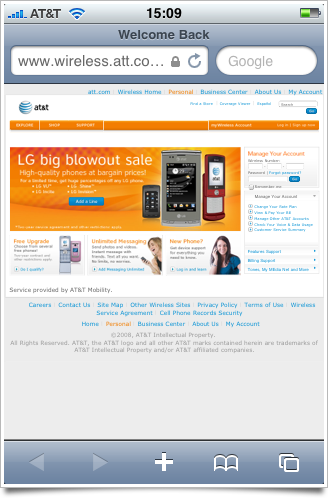 Plenty of companies could benefit from an iPhone-friendly web UI, but few would benefit more than the sole service provider for the iPhone in the U.S.